At the moment there are two situations in my house: kids summer holidays and lovely weather. A great opportunity to get creative outside. 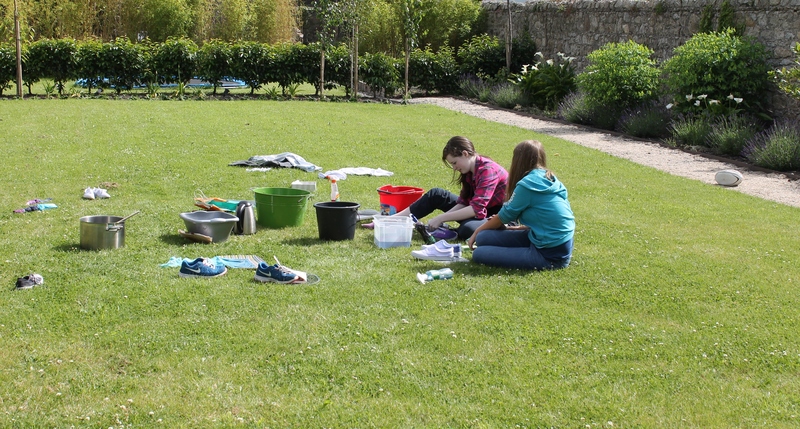 A couple of years ago I spent a day tie dying with my children and a bunch of their friends. It’s a wet and messy business but a lot of fun and the anticipation of what masterpiece you may or may not have created lasts till the very end! Now that they are older they just need me to provide the materials which are not too tricky to source. So that is what I did and these are the results. 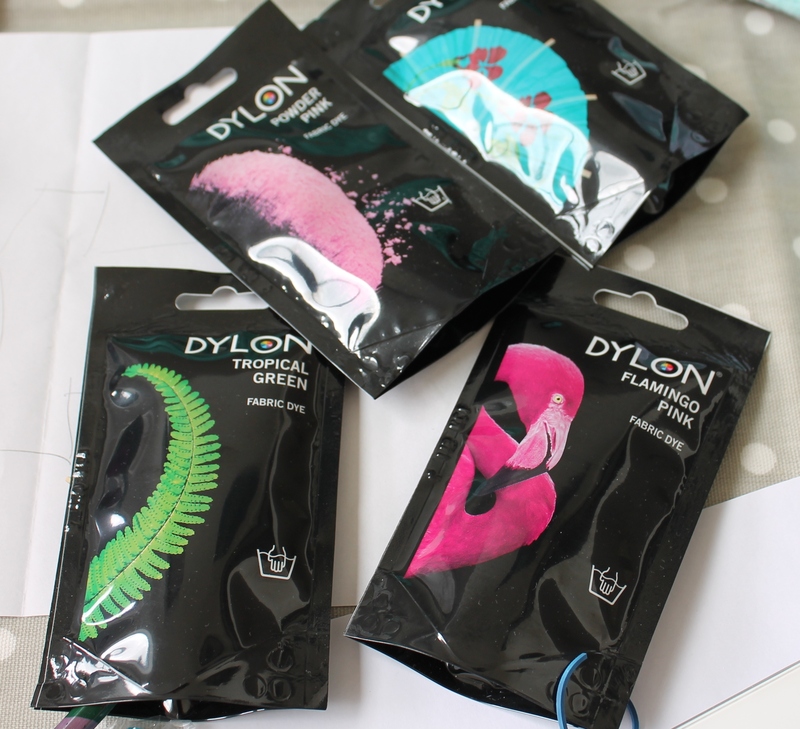 We used Dylon hand dyes. They have a fabulous range of colours. We opted for colours such as Flamingo Pink and Tropical Green. I bought them in a fabric shop (Hickeys see details below) but they often available in pharmacies too. Check the instruction on the packet of Dye that you purchase, some come in larger sachets and have the salt already added. 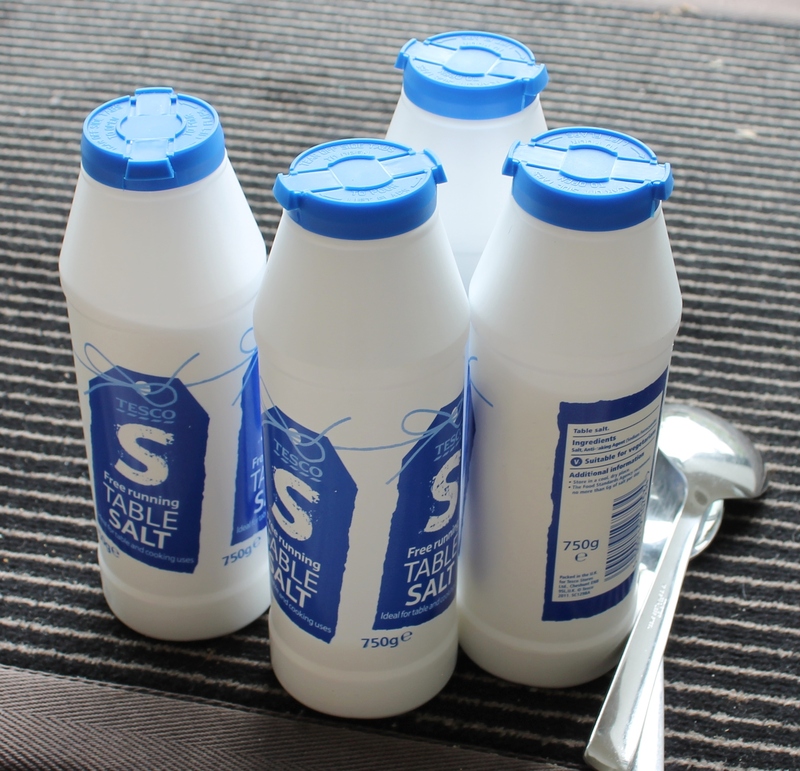 Ours required the salt to be added. 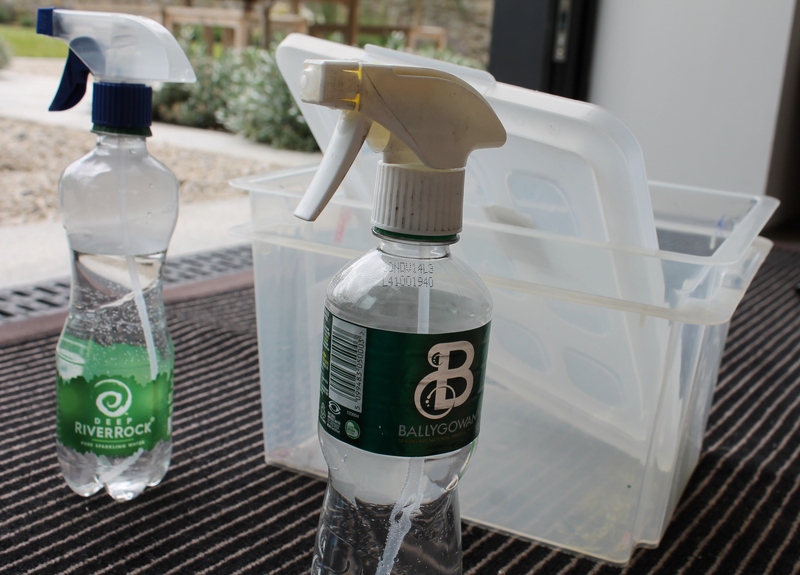 The girls also used some water bottles with spray nozzle attachments for doing multiple colours on one item. There are many different ways of doing this. 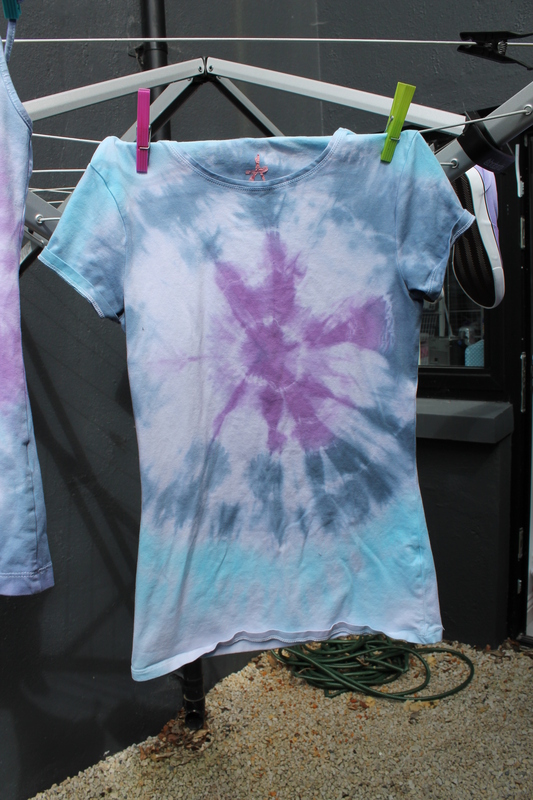 One way is to take a t-shirt (plain white works best) and lay it out flat. Then push one finger up in the centre from behind and twist into a tight rope- like piece. Next place elastic bands at intervals along the length of the fabric as seen in the photograph below. Where the elastic bands cover the fabric the original fabric colour will remain. You can then put this aside while you prepare another one with a different pattern. Another way of creating a pattern on fabric is to use marble spheres. Firstly decide on a layout for your pattern. This could be in lines or grouped together using different size marbles. 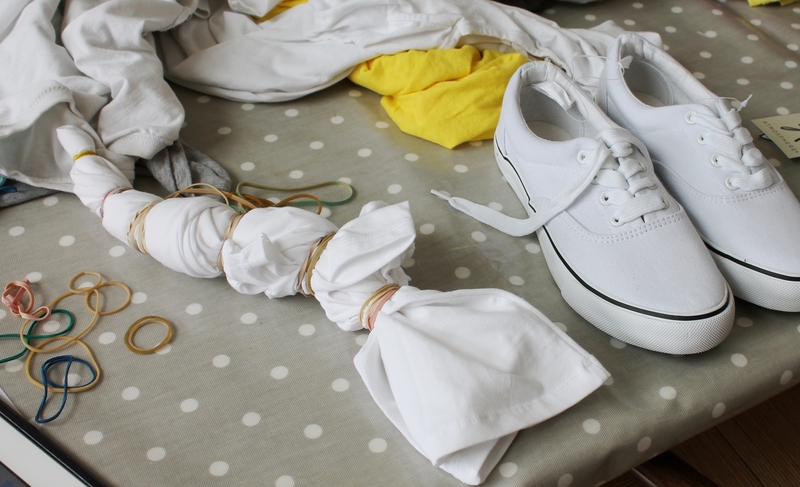 Then place a marble inside the t-shirt and place an elastic band over it to secure it in place. Repeat with additional marbles using a variety of sizes if desired. 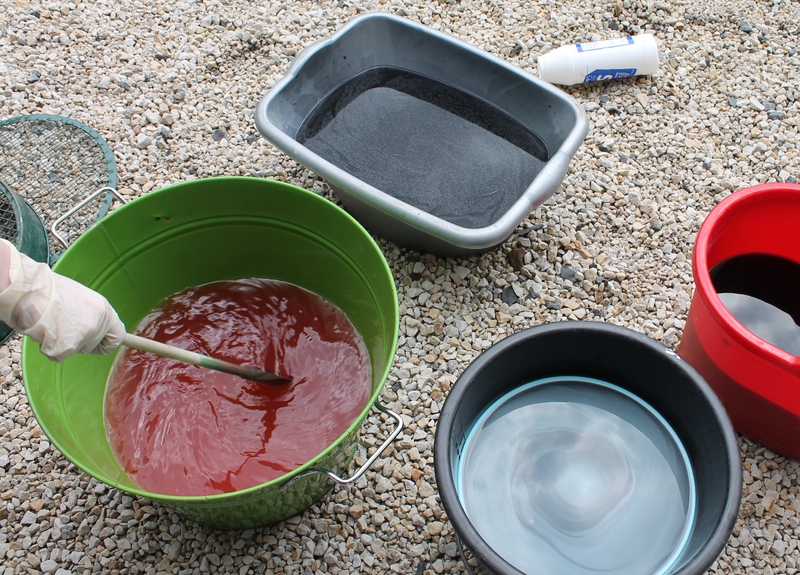 When you have the items prepared then you can mix up the dye. Use one container for each colour and follow the instructions on the packet. We used 5 litres of water to each packet so a fairly sizable container is required. 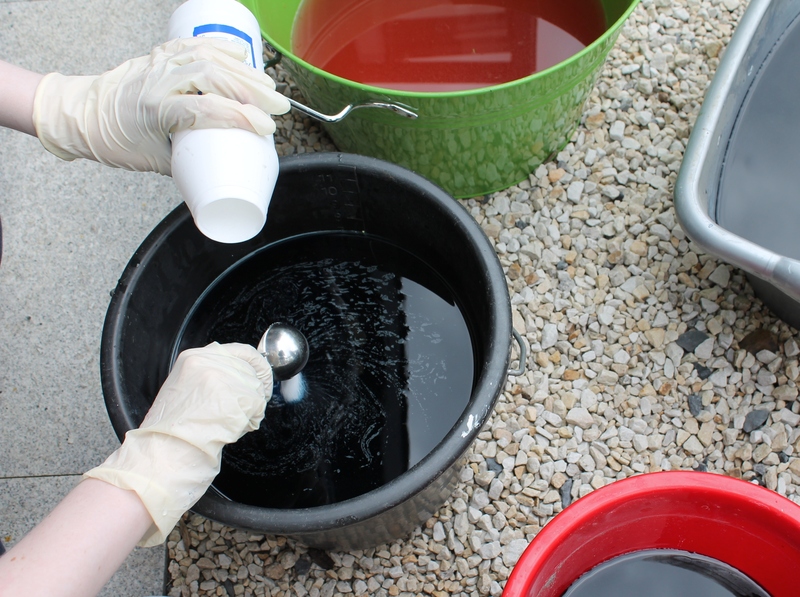 Put on your rubber gloves and stir well to mix the dye thoroughly. Add salt if the instructions indicate that it has not already been added. 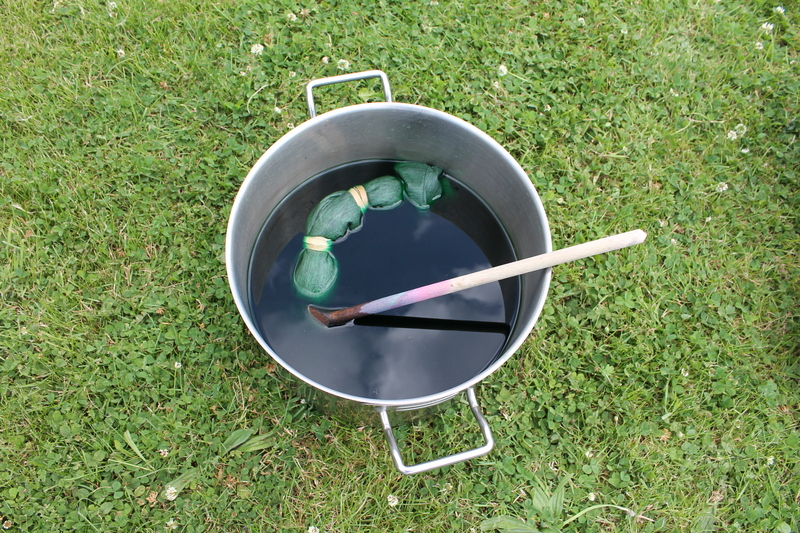 If doing only one colour then immerse the garment fully and leave submerged for c.45 minutes (time depends on brand of dye). Note that the final colour will be a couple of shades lighter than the one you see now so bear that in mind when deciding how long to leave it in the dye. The areas where the elastic bands are will remain white. It’s great to do this outdoors both to have space to spread out but also so that you don’t have to be too precious about making a mess. The grass did not stain! 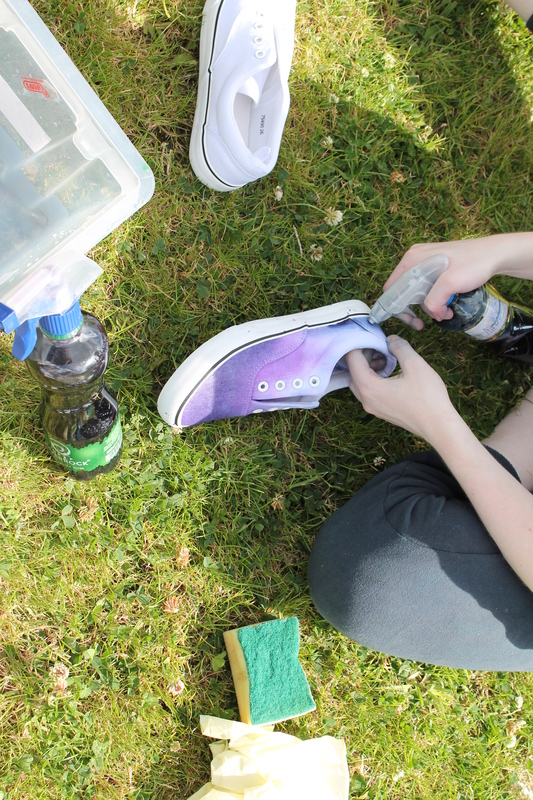 My daughter and her friend filled the empty water bottles with the dye mixture and then set about using these to create multiple colours on some items. 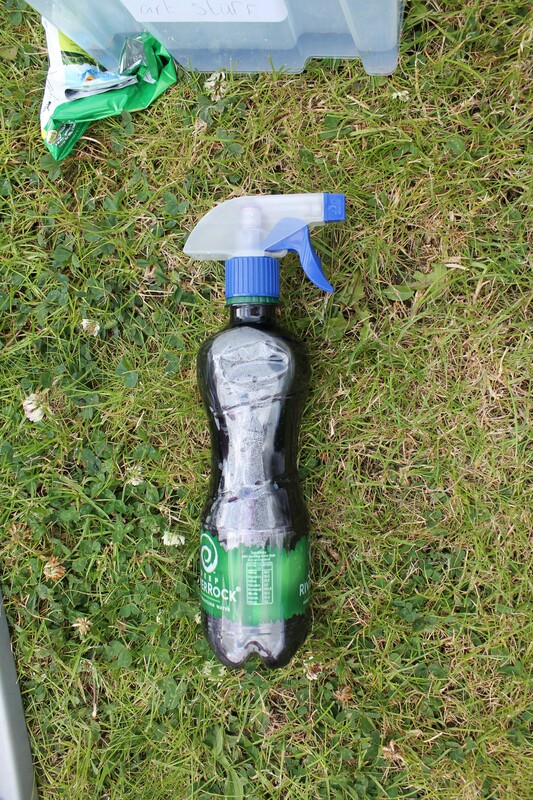 The elastic bands were used to define colour bands and the sprays used to colour different sections. 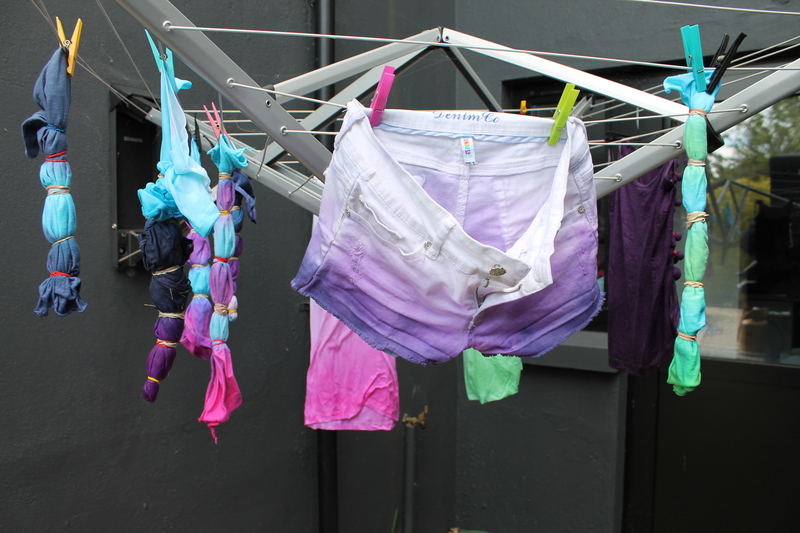 The spray was used again to dye the ends of these shorts and a small sponge used to blend in the colour. 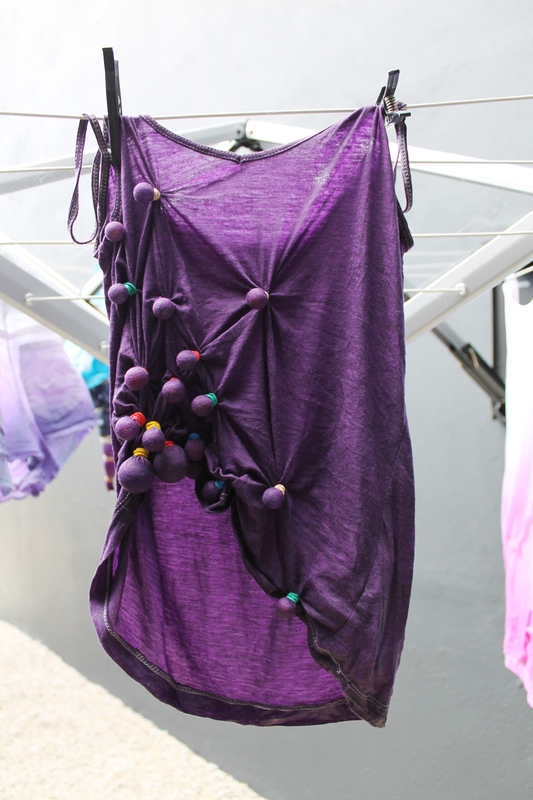 After the items have been dyed they are hung out to dry into the fabric for a time. 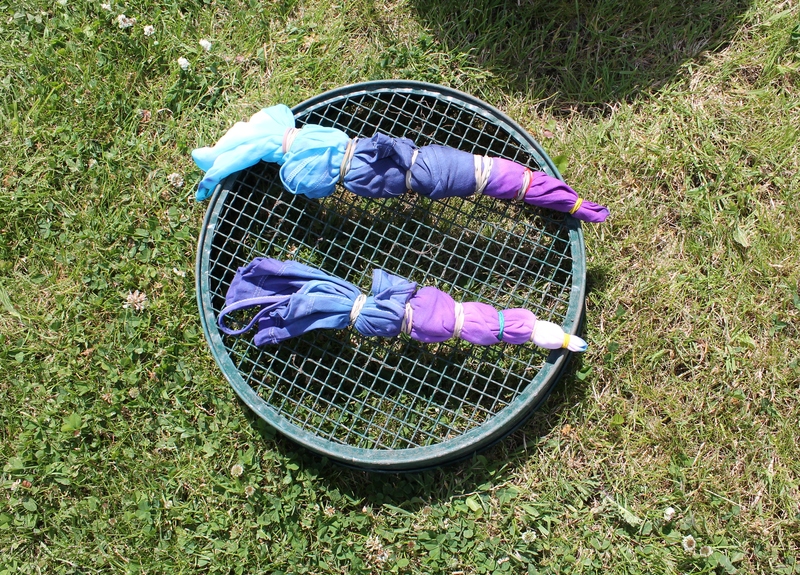 After the items have been submerged for the required length of time and allowed to soak in, it is then time to remove the elastic bands and untie any knots that you may have created. This is the first glimpse of your creation! Then it is necessary to rinse all the items thoroughly until the water runs clear. This can take a while and is definitely the most painful part of the process. After this each item should be washed with a mild detergent. 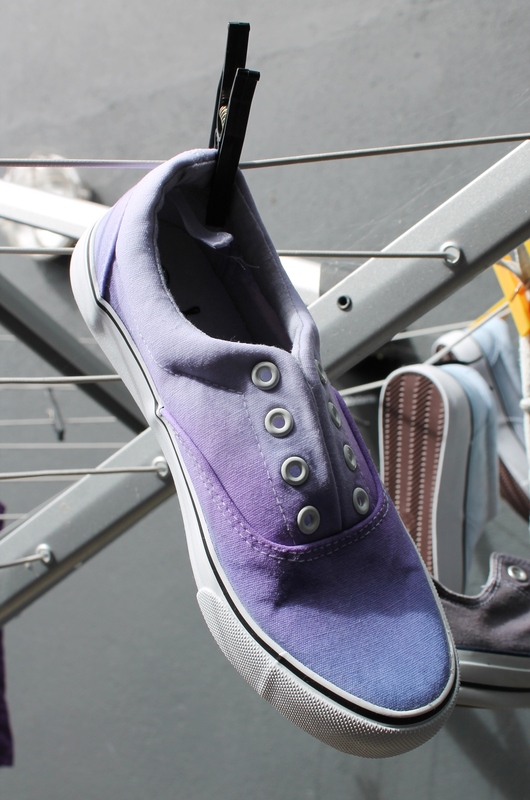 To do this I placed all the dyed pieces into the washing machine and put on a very cool wash.
After that they were line dried. The final results are displayed below! 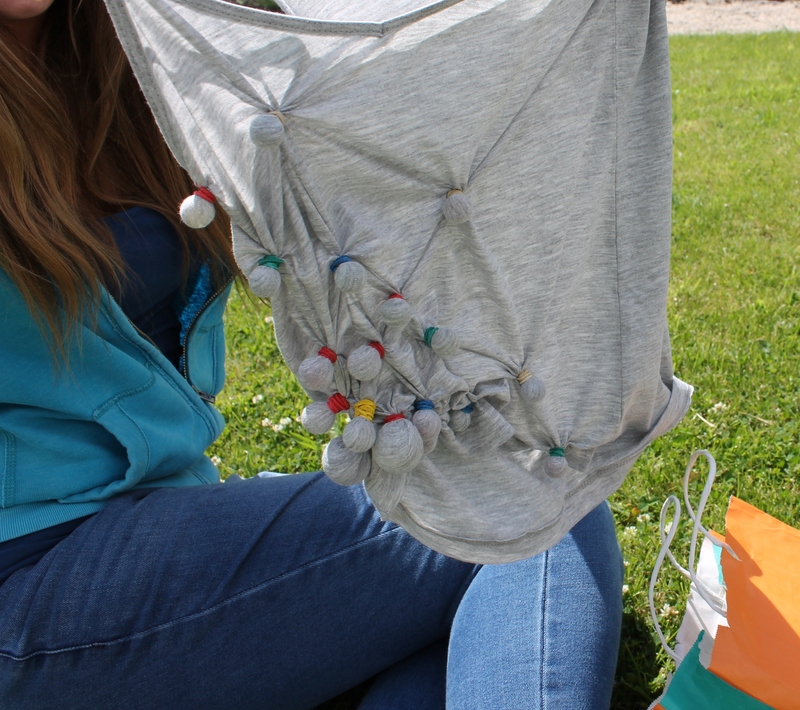 These were created using the elastic bands at intervals after twisting the t-shirt as described in step 1 above. 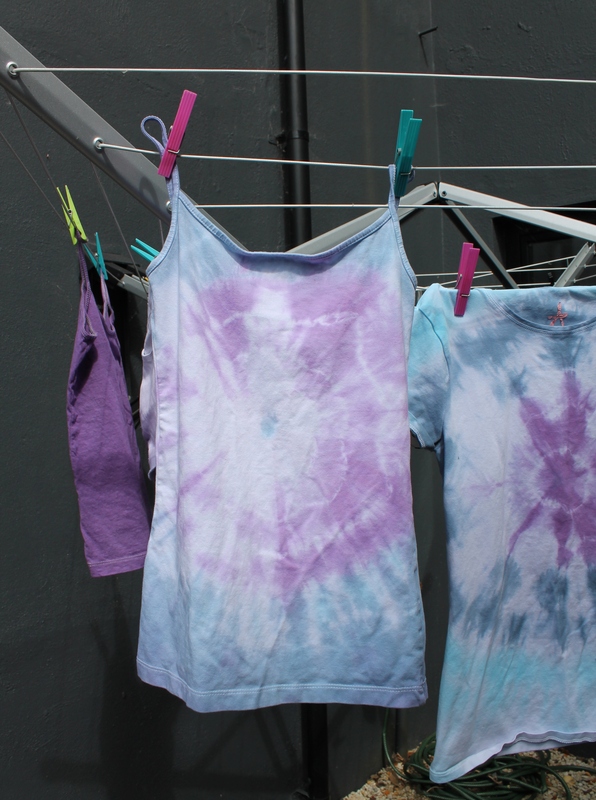 These t shirts were dipped into the dye gradually to achieve the dip dye, light to dark look. By far the simplest and quickest option. 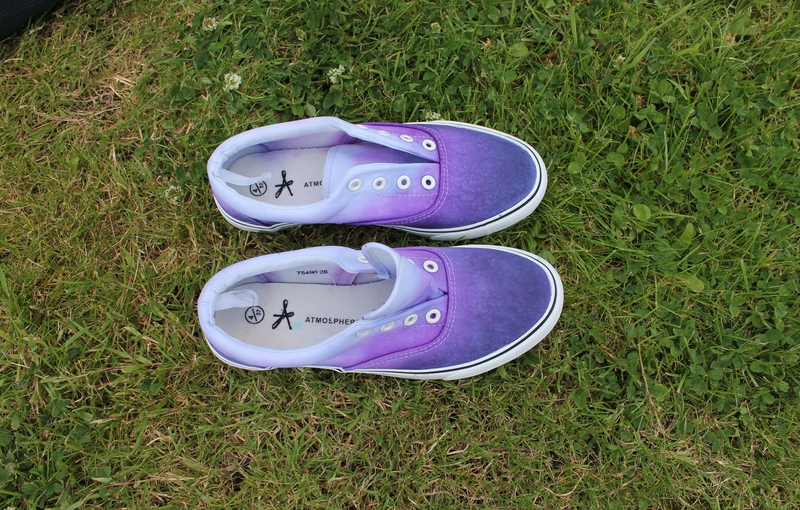 Spray bottles filled with the dye were used to create a graduated look on the canvas shoes. So there you have it, a way way to create your own fashion statement by taking a hands-on approach. Materials were purchased in the following locations. 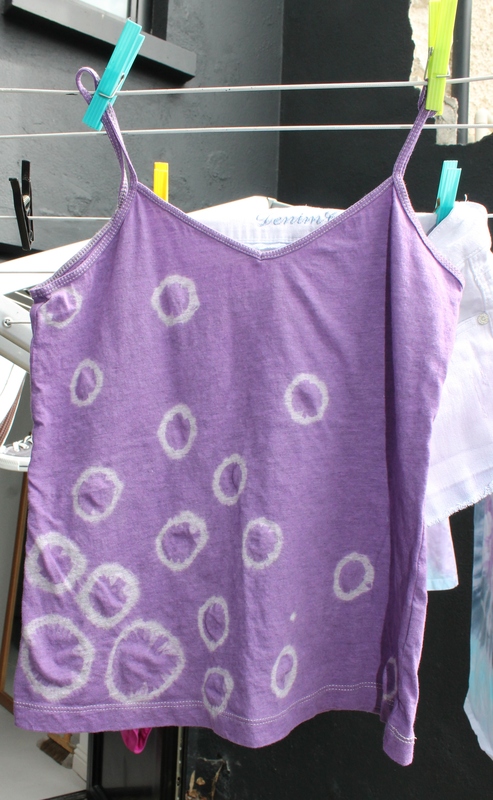 This entry was posted in Design and tagged craft, dylon, fabric dye, tie dye by Passionate about Design. Bookmark the permalink.